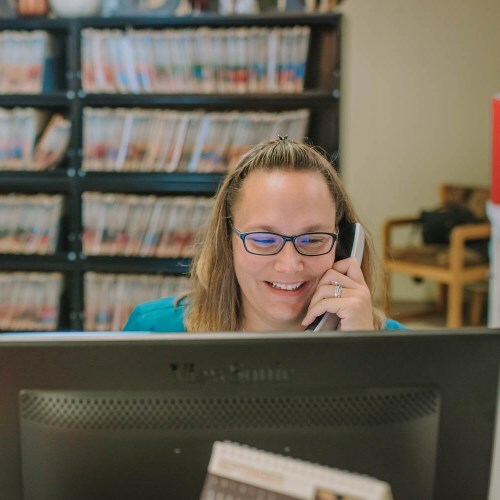 At Animal Clinic of Beaver Dam, we strive to make you and your pet feel comfortable. From the moment you walk in our door, we welcome you as a friend. We know your pet is a member of your family. The service and care we provide for your pet is performed with your specific needs in mind. We will help you make educated, well thought-out choices for your pet. We want you to be an involved member of your pet's health care team. 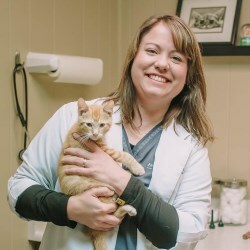 Dr. Kari Raisbeck has been a veterinarian since 2002, and has been with the Animal Clinic of Beaver Dam since its opening in 2006. 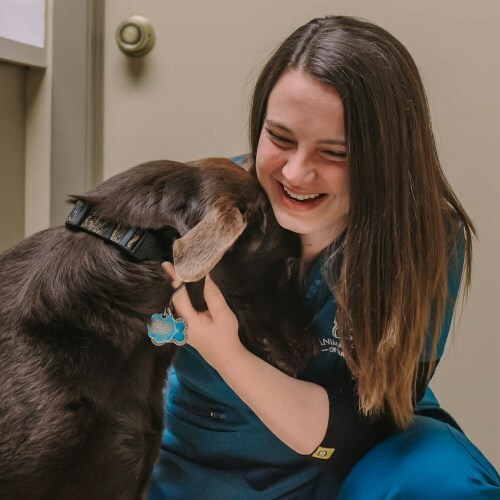 She has lived in Wisconsin her entire life, attending college at UW-Platteville and veterinary school at the University of Wisconsin-Madison. In 2007, she became a Certified Veterinary Acupuncturist. 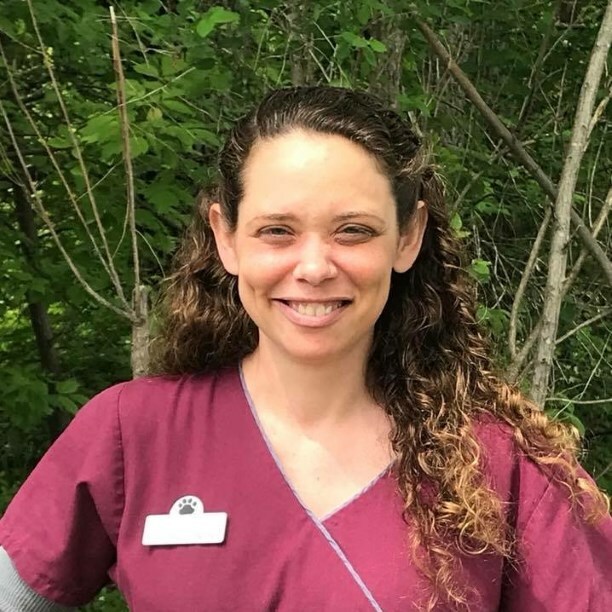 She loves working with small animals and practices veterinary medicine with a holistic/complementary approach. 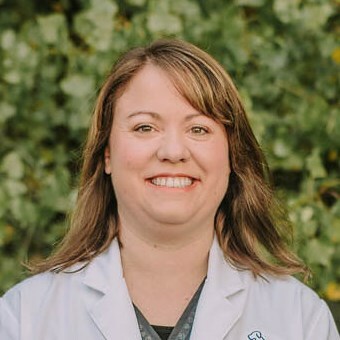 In her free time, Dr. Kari is the leader of a very active Girl Scout Troop in Beaver Dam. She also enjoys cheering for her daughter's figure skating team, Swan SyncSation. Her family consists of her husband, Curt and daughter, Claire, and their two dogs, Stoli and Dexter, and one cat, Jerry. Amanda has always loved animals. 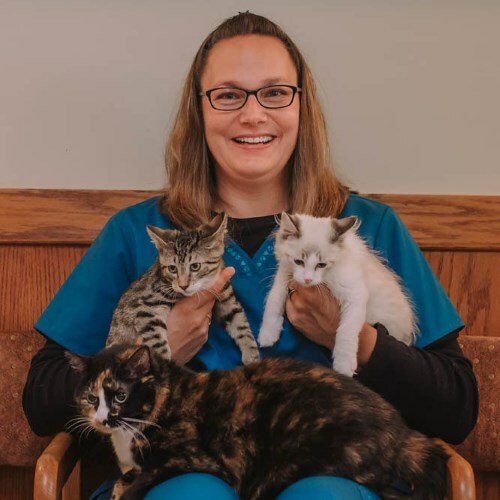 After graduating from Columbus High School, she completed MATC's Veterinary Technician program. 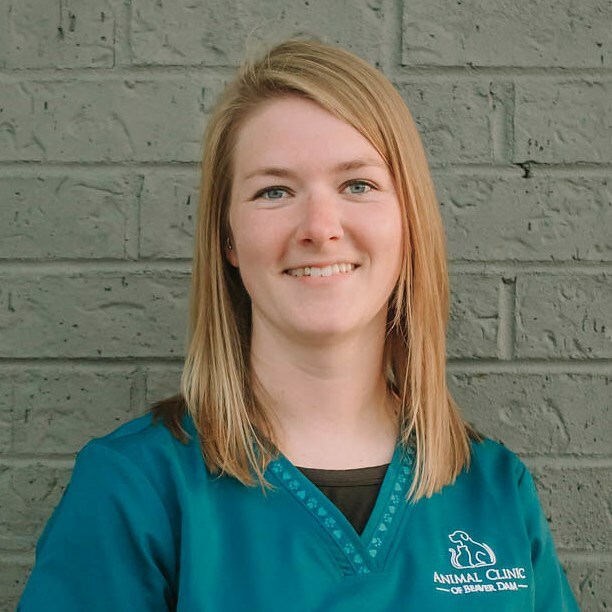 She joined the Animal Clinic of Beaver Dam in March of 2012. In her free time, she enjoys spending time outdoors with her family and friends hunting, fishing, camping, and kayaking. She has two dogs named Ruger and Yeti, and two cats, Dale and Mabel. Sue grew up in Waupun, Wisconsin. 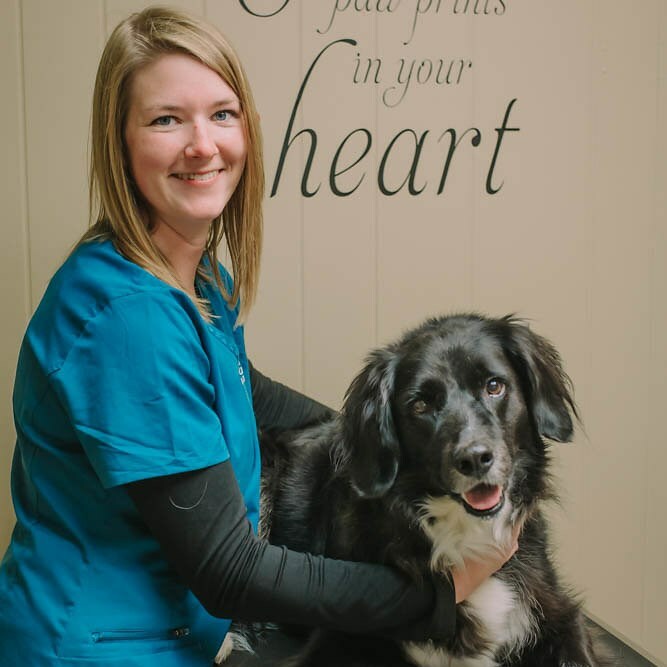 She has been with the Animal Clinic of Beaver Dam since 2008. She and her husband, Shawn live in Beaver Dam, and have two children, Garrett and Brooke, and three cats, Waldo, Gerty and Lily. Sue loves to spend her summer camping with her family and friends. 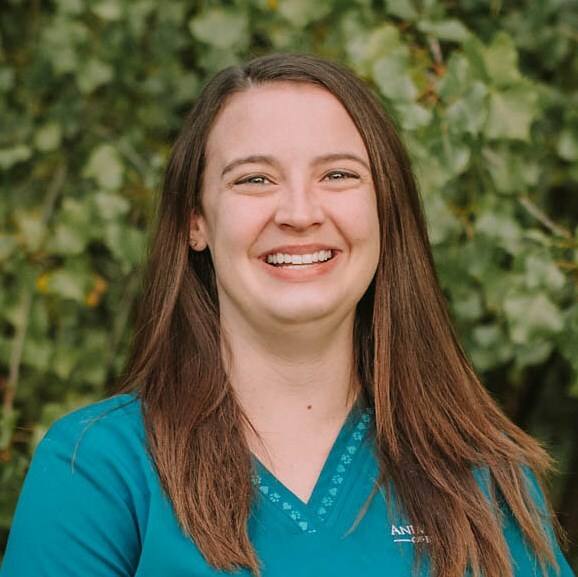 Emma has been a certified veterinary Technician since 2014. She lives on a dairy farm with her husband Lee and their two dogs, Swarley & Duke, and three cats. When she is not helping with calves and cows on the farm, Emma enjoys spending time with her niece and nephew. Emma loves working with animals big and small. 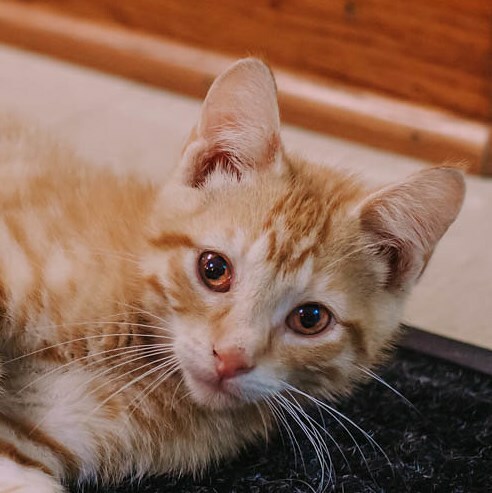 Jimmy John was brought to our clinic by a good citizen one busy summer day after being found on the highway with his eyes matted shut as a tiny kitten. As we nursed him to health, we knew he was special. He loves to keep clients comfortable and relaxed in our waiting room. 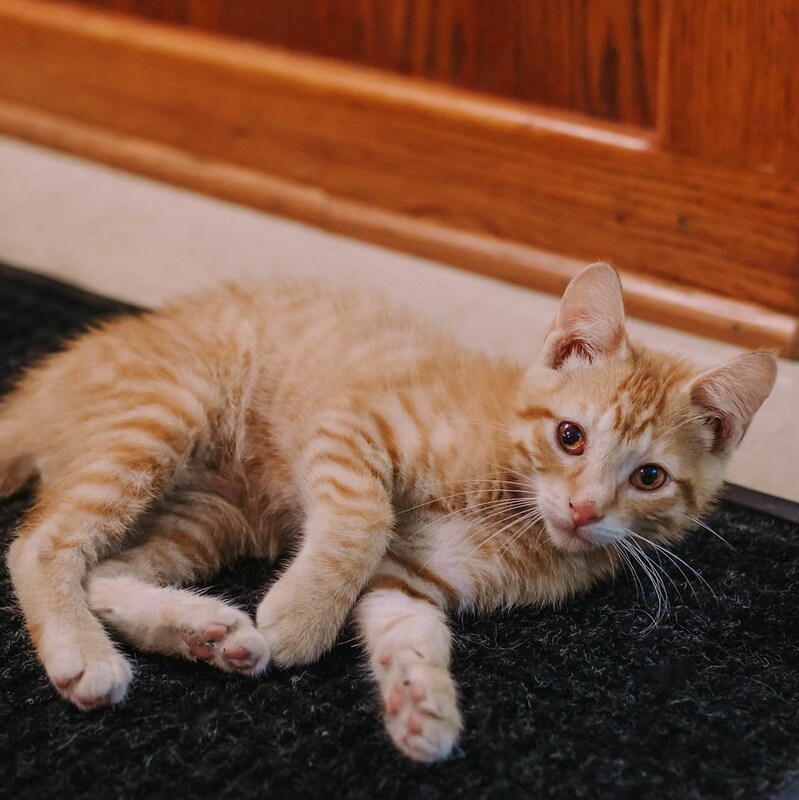 In his spare time, he enjoys long walks on the countertops, licking himself in public and sticking his paws under closed doors. 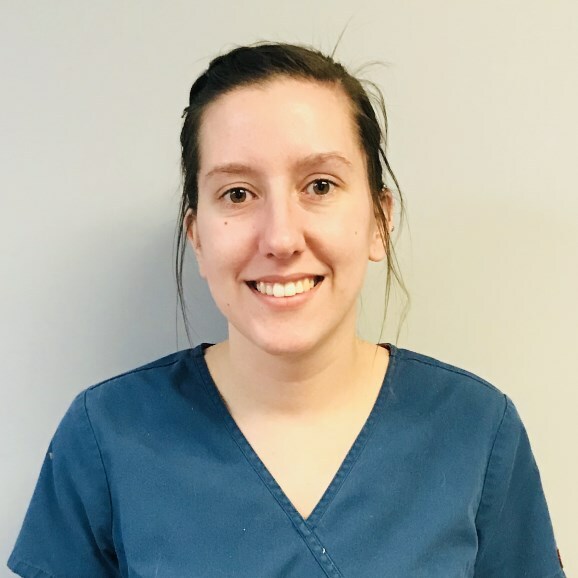 Savannah is a Certified Veterinary Technician and graduate of MATC. She loves all animals and is excited to be working in Beaver Dam. Savannah has one dog, Georgia, a Jack Russell mix, who she loves to go hiking with. 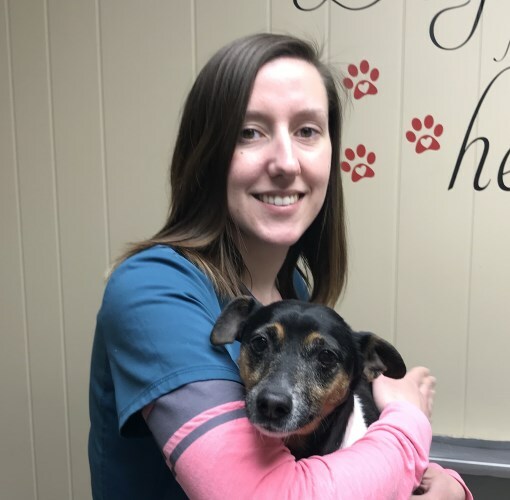 Our newest veterinary technician Amy, comes to us with 19 years veterinary experience! We know you are going to love her calm, easy-going personality as much as we do. Welcome to the team Amy!